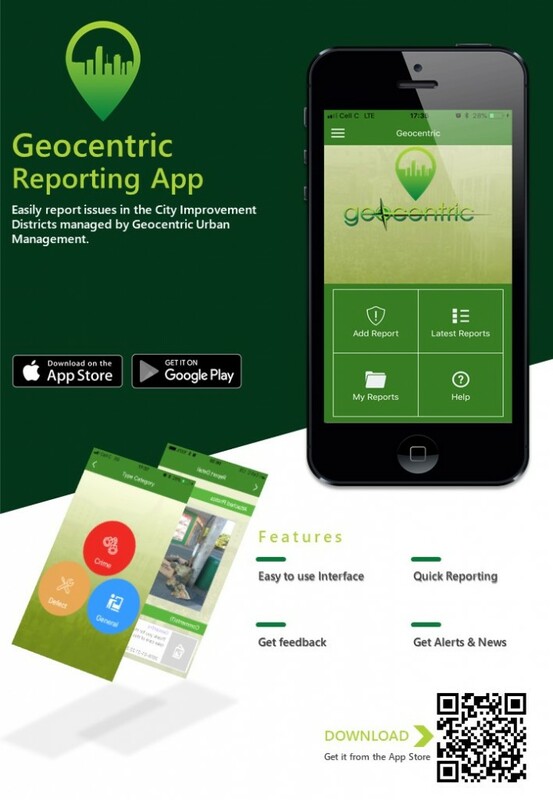 “As Geocentric we are very proud to launch our new mobile phone reporting application,” said Gene Lohrentz of the urban management company recently. “This is another way in which we are enabling our CID business and property owners to interact with their City Improvement District Management. 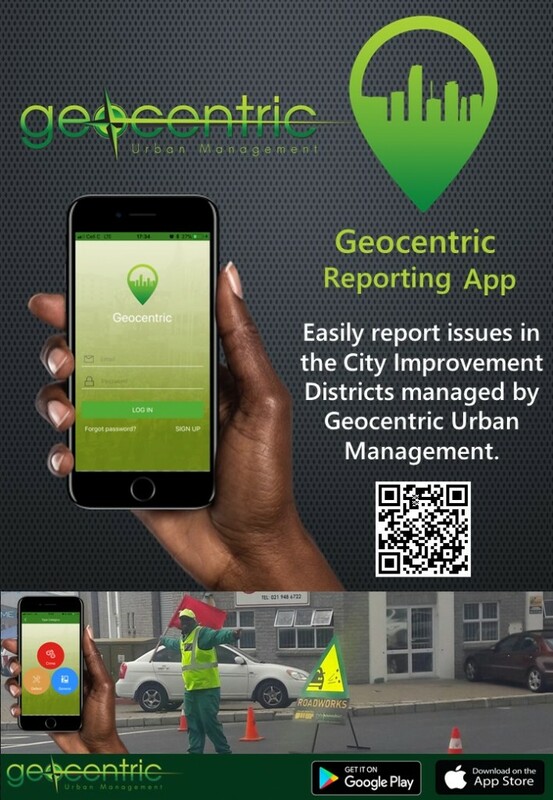 The Geocentric app allows users to easily report issues in the City Improvement Districts managed by Geocentric Urban Management based in South Africa. Currently the areas covered by this Application include Beaconvale Industrial Area, Elsies River Industrial, Glosderry, Maitland, Salt River, Somerset West CBD, Stikland Industrial, Strand CBD and the Tygervalley CBD. With this application, users can report urban defects, crime incidents, public safety issues and general comments. “We will acknowledge your report and provide you with feedback throughout the process. We will also send you ‘Alerts’ of problems in your CID area, such as water leaks or power outages and we can even send crime alerts and safety tips to your mobile phone. We will send you a confirmation email and you will have to activate your app by clicking on the activation link in the email – this is to ensure we are dealing with people and not spammers. Log in and you are ready to go!